Scientists are now four months into the Kepler spacecraft mission and already they have labeled over 1200 planets for possible alien life forms with a surprise. Due to selection effects of the transiting method which is based on is based on the observation of a star’s small drop in brightness. Now this occurs when the orbit of one of the star’s planets passes (‘transits’) in front of the star where the amount of light lost varies between 0.01% and 1%- depending on the sizes of the star and the planet; and the duration of the transit depends on the planet’s distance from the star and the star’s mass. Since the star’s mass and size can be determined from spectroscopic observations, the planet’s size and distance can be determined. Kepler has discovered systems with low inclinations. These have planets smaller than Neptune, because large gas giants can perturb the orbits of member planets into higher inclinations. The Kepler team was surprised to find so many multiple-planet systems in their area: over one hundred, when only two or three were predicted to be there. How do planets form? This topic has been going through major revolutions in the last ten years on how they supposedly evolved within its paradigm. Back in 2001, theories on planet formation began to fall apart especially with Jupiter-size planets. A story that has been taught in public school textbooks known as the “planetesimal hypothesis” where dust accretes to build up a planet a grain at a time was deem too time consuming. It also predicts that Jupiter would have an iron core equal to 10 earth masses, but recent Galileo spacecraft data indicate it is less than six earth masses – and there may be none at all. Also, astronomer Alan Boss had proposed an alternative theory called “disk instability” in which the original gas cloud had lumps that condensed into the gas giants. But this mechanism doesn’t last long enough to form planets. And that’s not all, ever since secular astronomers have embraced the idea of the nebular hypothesis where disks of dust and gas will slowly condense into planets that have come into conflicting observational data with that idea. Anomalies and constraints are good for science because they put the brakes on speculation which evolutionary planet formation, and Darwinism evolution thrives on in general. With all these problems in various planet formation stories, an upper limited was put on at ten million years or less to avoid the death spiral. But with more data coming in, this appears too long once again. 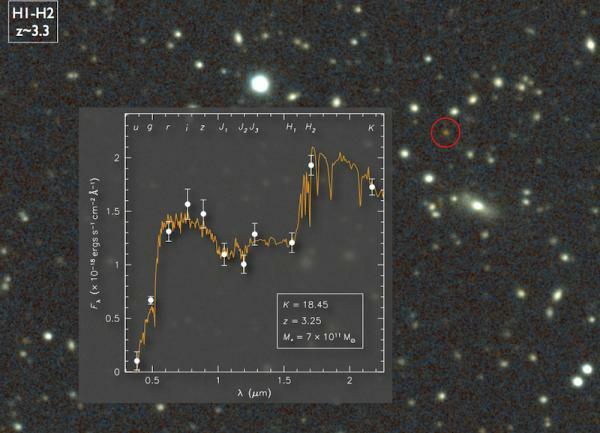 The discovery of IC 348, a cluster of stars thought to be two or three million years old, shows that the dust is rapidly depleting in nine disks detected. In other words, you want to make a planet, you better hurry! As science progresses, there have been no solutions or explanations found to problems that occurred with new discoveries in 2001, 2003, 2005, 2006, and 2009, even with the latest Kepler Spacecraft observations. What does this say about their epistemic status? Perhaps they should reconsider their notions about planet formation and study what Johannes Kepler was so delighted with his discoveries that even with the progress of science today, the earth remains special in the universe!